A husband midlife crisis can easily push the 'Mrs. Fix-it' button in wives. Typically the need to fix problems is more of a problem for men, but it can be hard for all of us to see our partner lost, hurting, and self-destructive. Thus, when you believe your husband is having a midlife crisis, it can be very hard to do nothing. Yet one of the biggest mistakes wives make with a husband midlife crisis is pushing him to fix it. Often times wives' responses, although well intended, just drive their husbands even deeper into a midlife crisis. A wife of a husband having a midlife crisis asked me two weeks ago to give her some guidance on what to do for her husband. So what's a wife to do? Accept that you can't fix him, but you can influence him. It's really hard not to try to stop the man you love from destroying his life and yours. But in order to have the best outcome you've got to be strategic in how you respond. Give Him Space. Although this will be hard for wives to hear, many times one of the contributors to a husband midlife crisis is their relationship with their wife. Please note that I wrote 'contributor' not 'cause.' It's important that wives hear that difference and not be personally hurt that they could be part of the problem. Wives have to remember that they're not going to be able to fix their husband's midlife crisis - only he can do that. The best way to help him to choose for himself to do this is not to push too hard and make him feel worse. So give him space. Don't Label the Problem. It's okay to seek to understand what's happening with your husband, but be careful what you call it. For a lot of men any kind of suggestion of a mental health problem, such as a midlife crisis or being depressed, is a big, big turn off. If you label his problem you could very easily lose his willingness to listen to your suggestions of ways to help. Don't Focus on Symptoms. The reason for this is very similar to the reason not to label the problem. It's very possible that your husband already may feel that you either 'nag' him or only see the things he does wrong. Although your intent is to help him, by pointing out the husband midlife crisis symptoms, it's very possible he will only hear you 'criticizing' him. Comment on Harmful Changes. Rather than pointing out husband midlife crisis symptoms, suggest ways the changes are hurting him. You can do this by making observations such as, "I notice that you don't seem to enjoy playing golf anymore," or "you seem more stressed and need to drink a lot more to relax." Give Hints at the Possible Problem. Another reason not to focus on the symptoms of a husband midlife crisis is because what's a whole lot more important is discovering what the underlying cause could possibly be. When you have an idea of the possible causes you can be a lot more helpful. Some causes of midlife crisis for men I've worked with recently have been not getting that promotion last year and now feeling stuck in a career that has stagnated; he really doesn't enjoy being a dad (sorry, but this can be true); unhappy and has complaints about the marriage; dissatisfied with how his life has turned out. We all have an inclination to reject the help of those closest to us. Some of this is just human nature, and some traces back to power struggles with our parents. Sadly, to our detriment this tendency can still exist in adulthood as we reject loved ones who try to help us. This is why it's so important just to ask, suggest, and reflect on what you see happening during a midlife crisis rather than directly telling your husband what to do. A husband midlife crisis can be very complicated. Often there are multiple causes for a midlife crisis. How wives respond can make a huge difference in the responses of their husbands. Although, I must say that husbands' responses are their responsibility, and even though wives can be big influencers, ultimately the response is all up to him. There are typically psychological issues occurring during a midlife crisis as well, so getting the help of a professional counselor is very important. Until then, wives can best help their husband midlife crisis by not being "Mrs. Fix-it" and following the above recommendations. 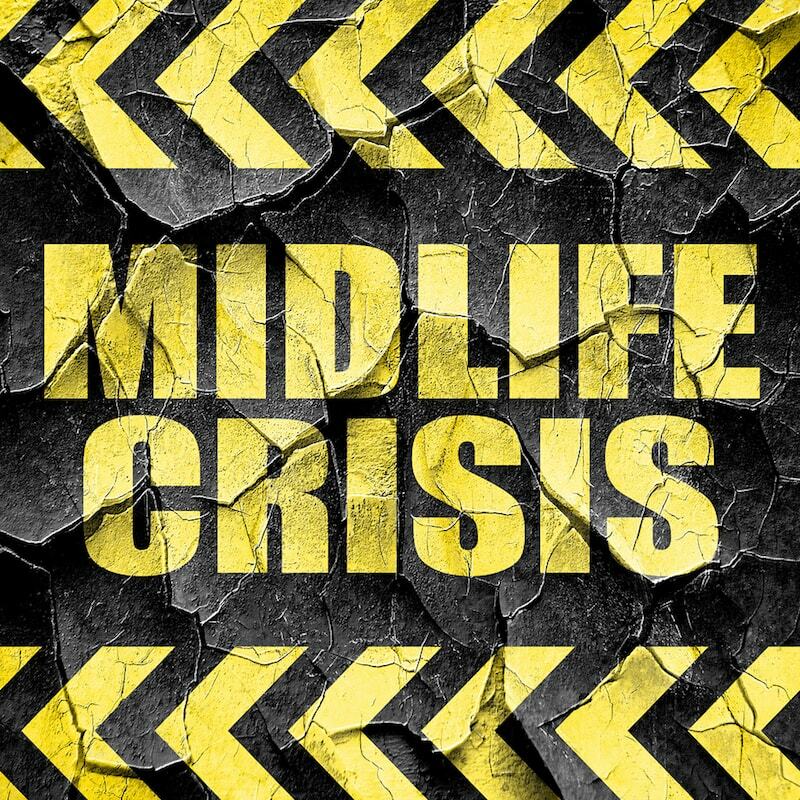 Join the conversation and please share your thoughts and experience with a husband in midlife crisis in a comment below. Editor's Note: This post was originally published October 31, 2012 and has been updated with new information for accuracy and comprehensiveness. Is There Really Such A Condition As Man O Pause?